Whenever I’m asked to name my favorite tearjerker, I answer Marcel Pagnol’s Marseilles Trilogy – and its mostly faithful offspring. In all of its screen incarnations, it’s an epic tale of thwarted romance that unfolds over a period of several years. If the original six-hour French-language trilogy—Marius (1931), Fanny (1932) and Cesar (1936)—sounds unfamiliar, you might remember it in the form of Joshua Logan’s condensed American remake, Fanny, which played for many weeks in the summer of 1961 and earned Oscar nominations for best picture, actor (Charles Boyer), cinematography and music. In this most famous version, Leslie Caron and Horst Buchholz play the frustrated lovers whose lives are irrevocably altered by one crucial decision that drives the narrative and accounts for most of the heartbreak. The films tell essentially the same story of a would-be sailor, Marius, and his childhood sweetheart, Fanny, who have grown up on the Marseilles waterfront and are clearly meant for each other. But he’s driven by the desire to find adventure at sea, and after one night of passion she helps him escape on a ship that’s not likely to return soon. When she becomes pregnant, she is married off to a wealthy merchant, Panisse, who has never been able to have children and is happy to have a “seven-month baby.” After the child is born, Marius returns and nearly restarts their affair. But Marius’ father, Cesar, stops them, and the story’s real heartache kicks in. 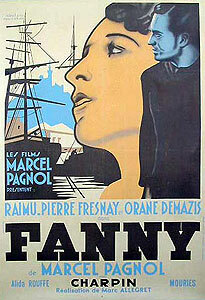 Although the Pagnol films have been available for some time on DVD, the 1961 Fanny only recently made its disc debut. The extras include the first CD release of the original soundtrack album, based on the melodies of Harold Rome, who captures the unrequitable longing of the central characters. The first American adaptation of Pagnol’s films, MGM’s underrated Port of Seven Seas (1938), was an all-star event behind and in front of the cameras. Written by Preston Sturges, it was directed by James Whale, scored by Franz Waxman and photographed by Karl Freund; the actors included Wallace Beery as Cesar, Maureen O’Sullivan as Fanny (renamed Madelon) and Frank Morgan as Panisse. Although it’s in legal limbo and won’t likely turn up soon anywhere, it was revived several years ago at the Seattle International Film Festival. Sometimes dismissed as overly sentimental and unnecessarily swift (it runs only 81 minutes), it’s a more-than-reasonable adaptation, with an especially poignant turn by Morgan, just before he transformed himself into the wizard of Oz. Several years ago, the Seattle International Film Festival asked local critics to choose and present a favorite “guilty pleasure.” One chose the divinely silly Susan Slade, while another went for the historical comedy, Start the Revolution Without Me. My pick was The Egyptian, Darryl F. Zanuck’s lush 1954 adaptation of Mika Waltari’s once-popular novel (the No. 1 best-seller of 1950) about the revolutionary reign of the “heretic pharaoh,” Akhenaten, who established a form of monotheism that was quickly dismantled by his successors. I don’t regret the “guilty pleasure” label – parts of the picture are incredibly cheesy, especially the woozier patches of dialogue and the casting of heavily accented Bella Darvi as a Babylonian whore. Not that there’s anything wrong with that. Spouting lines like “I’m an evil woman, Sinuhe” and “I did not ask for this trash,” Darvi could give Maria Montez a run for her money in the camp sweepstakes. But she seems to have wandered in from a different, sleazier, less ambitious picture. The Egyptian was the first movie I’d seen that took a single central character from childhood to death. Its dark, troubling, sometimes pretentious account of that journey made a lasting impression. So did the lavish visualization of ancient Egypt. It’s full of lines like “all existence is vanity” and “I made the evil in myself,” as its self-loathing hero tries to come to terms with a mostly wasted life. Seeing it for the first time as a nine-year-old, I was riveted by an ancient-world epic that entertained such pessimistic thoughts and didn’t deal simply with the triumph of good. When Cecil B. DeMille’s staff first saw it, they stopped worrying that The Ten Commandments, the less ambiguous Egyptian epic DeMille was preparing, would be challenged by it at the box office. The central character is not Akhenaten but the fictional Sinuhe, a peasant boy who is actually of royal birth (his fate is an ironic variation on the Moses story), though he doesn’t know this as he grows up to become pharaoh’s physician. When he makes a mess of his life, betraying his parents as he pursues the manipulative Babylonian, Sinuhe runs away from his birthplace, returning years later to see Akhenaten’s revolution collapse in civil war. Disillusioned by pharaoh’s mistakes and his own dubious adventures in other lands, Sinuhe is at first skeptical about Akhenaten’s achievements, and he prepares to be the king’s executioner. It’s always gratifying when a favorite film is discovered—or rediscovered in a way that creates a fresh perspective . Such is the case with 1957’s The Incredible Shrinking Man, which was enthusiastically received in its time but continues to grow in stature. Last year, it joined the National Film Registry of significant American films. In late August, it will be released by Universal as a single-disc DVD. For years, the movie had been carried on DVD by only one chain (Best Buy), which included it in a couple of DVD collections of 1950s sci-fi movies, some of them directed by Arnold. Even the new disc will apparently be a bare bones release. Surely a Criterion release is in order. 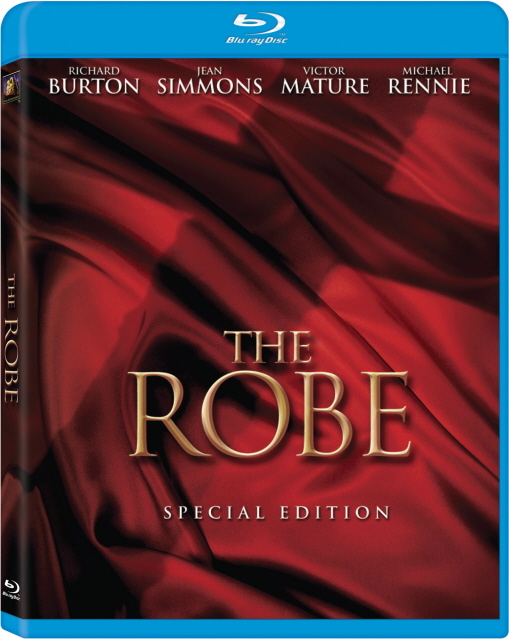 Whatever you think of the biblical blockbuster, The Robe, thereâ€™s no question that its phenomenal popularity marked a turning point in movie history. Twentieth Century-Fox, which previously treated it rather shabbily on DVD, tape and laser disc, is finally recognizing its significance with a Blu-ray Special Edition thatâ€™s loaded with extra features. Among them: a featurette about the history of CinemaScope, a discussion of the scriptâ€™s political implications, and an enthusiastic introduction by Martin Scorsese, who vividly remembers the impact it had at the time. Just weeks after The Robeâ€™s much-ballyhooed debut as the first Scope release in the fall of 1953, the movie was challenging Gone With the Wind by setting new box-office records, and theater managers were widening their screens and beefing up their sound systems. Before the year was over, Scope had won the battle over screen shape and size, and even movies designed to be “square,” like Shane, were stretched and distorted to suggest a panoramic effect. A few major-studio films, including the Judy Garland remake of A Star Is Born, were partially reshot to take advantage of the new process. The Robe led the way in replacing small screens and transforming monophonic sound systems. Although some critics suggested that wide screens were suitable only for photographing snakes and funerals, and Charlie Chaplin and Frank Tashlin made fun of Scope in their late-1950s films, the system eventually had an artistic impact. Hollywoodâ€™s famous 1950s spectacles and musicals were affected, and so were such meticulously designed wide-screen classics as La Dolce Vita, The Innocents, Jules and Jim and most of Robert Altmanâ€™s movies.